S. de Vries, A. van Dijk, M. Krzeminski, M. van Dijk, A. Thureau, V. Hsu, T. Wassenaar, and A. Bonvin. 2007. HADDOCK versus HADDOCK: New features and performance of HADDOCK2.0 on the CAPRI targets. Proteins. 69: 726-733. 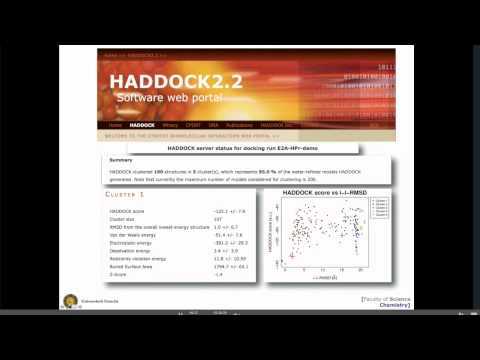 Topic: Modelling biomolecular complexes using HADDOCK: local vs server mode.